Breakfast and WIFI access are provided free of charge at the ibis Styles Köln City hotel. These complimentary services are available at all ibis Styles hotels. Guests of all ages will love the cheerful, comfortable design of the hotel. 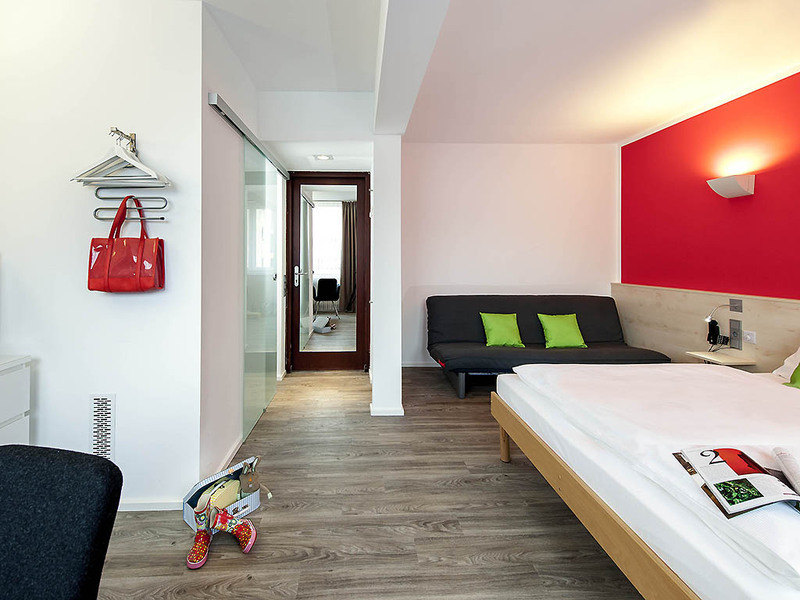 The ibis Styles Köl n City hotel welcomes you to the center of Cologne with its 54 colorful, unique rooms. Visit us with your family and stay in one of our Family Rooms. You can park your car in the hotel's indoor car park for a small fee. Few cities rival the youthful, vibrant spirit of Cologne, which has a 2000-year history packed with tradition and classical buildings. Whether you're trying out the club scene or marveling at historical attractions, your visit certainly won't be boring. Your room offers everything you need for a restful sleep and comfortable stay, including a large bed and a desk where you can surf the Internet for free on your laptop or read your free daily newspaper. At the ibis Styles Köln City, a wide range of services is provided free of charge, including: 24/7 WiFi access, flat-screen TV with a large choice of stations and phone calls to German fixed-line numbers. All bathrooms have a shower, WC and hairdryer. In the ibis Styles Köln City, you can meet people from all over the world, and chat with other guests every evening at the bar. Give it a try! We're sure you'll come back. The bar is open every day of the week from 6pm to 11pm.